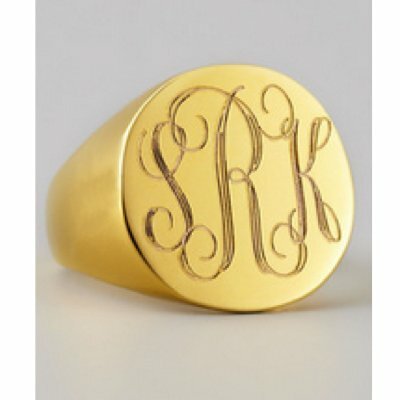 Monogrammed Classic Engraved Signet RingDeep hand engraved signet ring.You asked for it and we delivered. 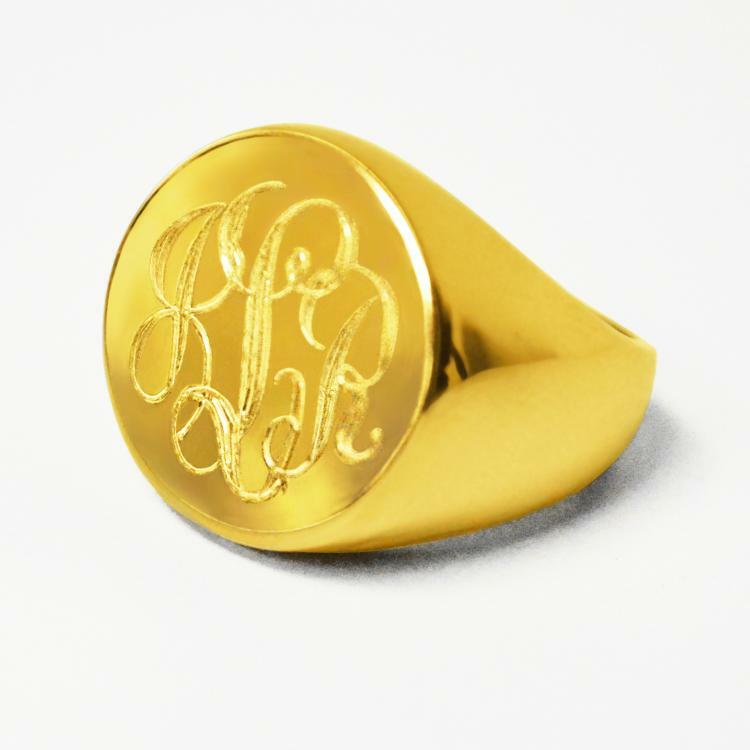 The classic signet ring like we all used to wear is back! 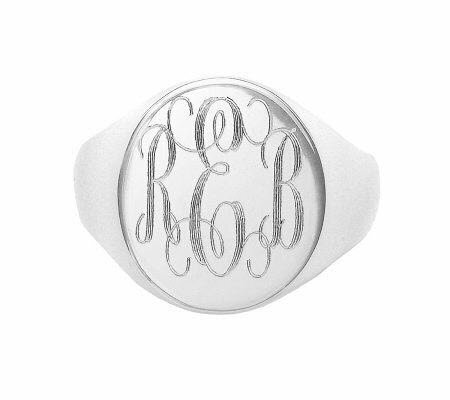 This ring will be engraved in interlocking script as shown in the photo. We hope you enjoy this ring as much as we do! The 10 kt gold is classic and loved for years by all who wear it. I personally have had mine for 30 years and continue to wear it. Try it in a really small size if you would like to wear it on your pinkie finger. Please note that the gold plated over sterling silver and the rose gold over sterling silver needs to be taken care of. The gold plated may wear after continually washing hands or using hand sanitizing products. The size is about 10mm. Weight is about 10 grams. Please note that only the script monogram is hand engraved- the block monogram will be machine engraved. Price: $130.00 In stock! - Browse this brandOur products are custom made to your specifications. This product ships up to 3 weeks after your order is placed. Choose your metal choice for you signet ring. Choose your font for the signet ring.